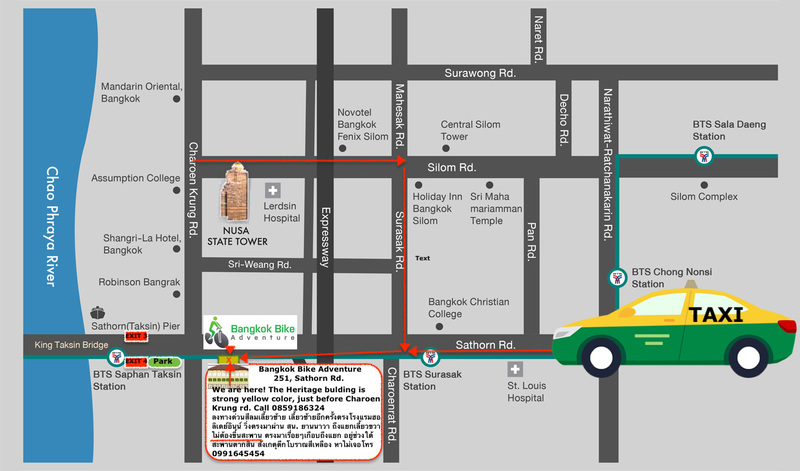 Cycle with us and get to explore the best of Bangkok. In the afternoon / evening it’s the perfect way to really see Bangkok’s transformation of colors before and after sunset, as well the temperature is cooler. You’ll start your bike tour by meeting up with our guide at our main office at 16:30. 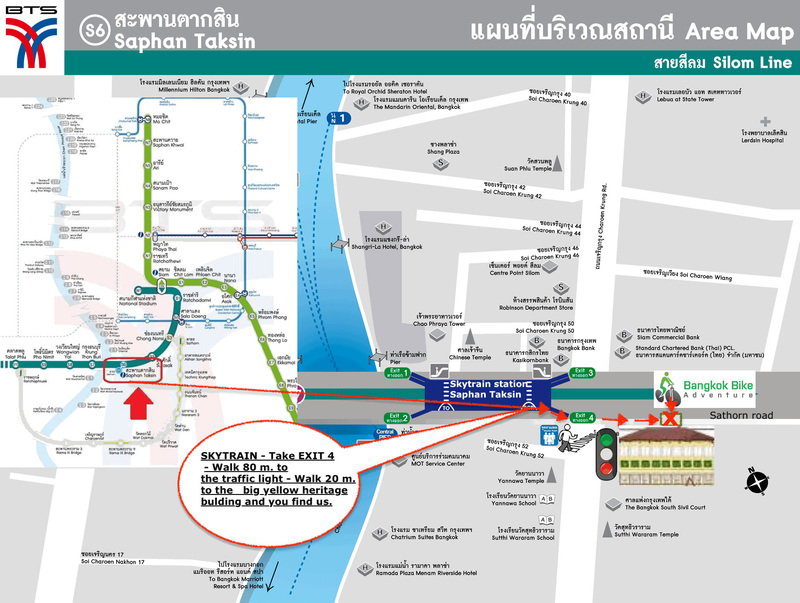 From there we go out biking and discovering the fascinating shapes and sounds of Bangkok. Away from the shopping malls and tourist hotspots, there is plenty of interesting sights in the west side of the Chao Phraya River, named Thonburi. Most fascinating here is the local community and people we meet on our way. There is always plenty of smiles and impressions from the locals while going through their communities and local backstreets. As the colors of sunset and twilight begin to set in over Bangkok, we reach one of Bangkok’s greatest landmarks, The Temple of Dawn. We go for a cold drink (included) at the riverside. Bangkok is really stunning at night, and the city transforms to something amazing and different than in the day time. Also, a visit to Wat Po at night is a must! Here you will get a unique experience to visit the temple with no crowds and a silent magical vibe. Among the highlights and on the way back, we visit the spectacular Flower Market, where there also will be tasty street food-tastings. Authentic all the way through, packed with adventure and sights, Sunset & Night Bike Tour should not be missed!